Communication is the keystone of any successful business. You need to be able to effectively listen and understand the differing needs of your clients and potential clients, in order to accurately and effectively help them. This is especially important when you’re in a service-based business, such as that of a Virtual Assistant, as you need to not only hear and understand what your clients are asking you to do, you also need to ascertain what they’re not saying AND find ways to implement those requests. So it’s fair to say that you need to be a good listener, in order to increase your productivity, effectively manage your time and to minimise mistakes! So, what skills do you need to master, in order to be a good listener? #1: Pay attention to what’s being talked about AND who is doing the talking. This is all about giving the speaker your undivided attention – and not looking over their shoulder or searching on your laptop for emails or internet sites. #2: Notice the non-verbal clues. Communication is dictated by both speech and body language, as well as the tone and pitch used, so be aware of these different types of signal. #3: Keep an open mind and empathise with the other person. Go into every conversation with a view to understanding both sides of the conversation, not just yours. #4: Have a good memory! Being able to recall names, dates and past examples is a great skill for any VA to have, as it shows, not only that you were paying attention, but that you were interested in what was talked about too. #5: Keep focused. Focus is one of the biggest skills a good listener can have. Why? Well it doesn’t just ensure you’re keeping to skill #1 (paying attention), it also enables you to link pieces of information together and devise solutions for your clients, based on what’s being discussed. #6: Clarify and confirm. If you’re a more proactive type of VA, as mentioned above, it will enable you to link information together – this is a step on from that. It’s about clarifying and confirming your understanding of what’s being spoken about and the role you may play in the broader picture. This doesn’t just mean becoming a yes/no type of person, it’s about asking questions, repeating important points and confirming if and how, you can help move your clients towards their desired end goals. Finally, skill #7 is to have patience. Not everyone has the gift of getting straight to the point! Give your clients time to finish what they’re saying, without jumping in to finish their sentences for them. Give them the chance to pause and catch their breath, without fearing that their opportunity to speak has passed. 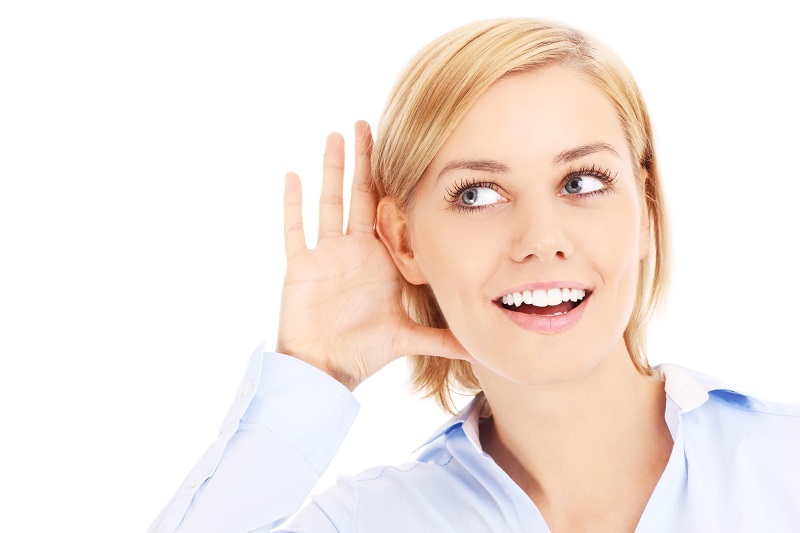 The ability to become an effective listener ensures you’ll be both an effective and approachable VA. In practising the above seven skills, you’ll ensure a productive, interactive and effective relationship with all of your clients – regardless of how good or bad their communication skills are! Do you consider yourself a good listener or is it something you need to work on? Does this article help give you specific skills to work on to improve your listening skills, or do you feel there are any not currently on the list, that you’d like to see added? Why not share your thoughts and opinions in the comments section below! Are you exploring the true worth of your VA? Want your business to succeed? Don’t focus on you! Amanda makes things happen. She cuts through the fog surrounding a difficult issue and instinctively hones in on what's truly important. A task given to her is one that will be completed and done well. During her time working within my team I came to quickly trust her advice and judgement. In sum a first rate administrator who is 100% reliable and I highly recommend her. Having known Amanda for over 30 years I can attest to her professionalism, attention to detail and highly honed interpersonal skills. She builds relationships easily based on her open and friendly manner, backed up with a deep understanding of HR and administrative processes. She is an asset to whichever organisation or team to which she belongs. Amanda, is an exceptional administrator, self-motivated and with exacting standards, she will be a very successful 'virtual administrator' to a broad range of businesses. Amanda is a focused, hard-working individual with an intuitive ability to cut through the noise to identify the critical issues and to prioritise and manage them effectively. I would have no hesitation in employing her executive assistance. Professional, hardworking and dedicated is the best way to describe Amanda. Although we had known each other for many years, I had not had the pleasure to work with her before this, and I must admit it was a true revelation. Her organisational skills are second to none, and her ability to multi task is amazing, she just has a knack in making things happen. I cannot think it will be long beforethe word gets out, and her services will be highly sought after. I wish her well with this new venture and will recommend her services extremely highly to anybody looking to recruit a virtual PA, they won't do better. I have known Amanda for over 15 years. Though out the time I have known her she has demonstrated skills aplenty across the broad church that is Maritime Logistics. Be it deep supply chain issues, provision of administrative support, creating logistics policy, activating operational plans, managing governance or working in an international staff she has delivered with aplomb. I have no doubt that she will be successful in her new career. I commend her unreservedly. As a part of close knit team of site FM contract managers, I was exposed to Amandas' work on a regular basis. Her dynamism and attention to detail were outstanding, as was her strength of character, demonstrated when dealing with Senior Managements' personal HR issues. She was never intimidated, and upheld the regulations in a fair manner for all. Amanda's strategic thinking was shown during the contract relet process where we had to determine the appropriate Statement of Requirements - she could think beyond the parochial boundaries of her site to gain a common understanding of the wider requirements. A good colleague - I would love to work with her again. Amanda Johnson has great style, and she understands what really matters. Her attention to detail is superb. Amanda is is exceptionally well organised, and extremely professional. As Amanda begins to carve a successful career as an Executive Secretary I would very strongly recommend her for her wide range of personal competencies. Blessed with well proven secretariat skills it is her broader skill set that sets her apart from many others seeking to offer the same service. Organisationally seamless, unquestionably reliable and totally honest she quickly grasps the key issues of any task, ably taking the initiative as required and taking pride in producing a polished output that reflects on her own high standards. She has both the personal integrity and personality that will quickly win the confidence of any future employer, which bode well for her achieving long term business relationships with all those who employ her services. Amanda ran logistics, administration and personal secretariat for me. She is massively reliable and trustworthy, with a calm efficiency and purposeful, cheerful personality. Oozing common sense, she would be my first choice as a PA, event planner or administrator - in any guise. Amanda is one of the most efficient and effective people I have worked with. She is a natural fixer, for whom nothing is too difficult or too much trouble. Her professional background is extremely wide, and her style is personable, obliging and unfailingly courteous. I would recommend her services in the most positive terms. Amanda is a professional individual, who is capable of delivering projects to time and budget. Able to liaise at all levels, Amanda provides a first class service and I thoroughly recommend her work. Amanda is an extremely competent individual. Highly organised and with a keen eye for detail, she was industrious, prioritised well and consequently had a remarkable capacity. She managed her own diverse department very effectively; her people skills are a key strength and she used a light touch where possible but equally was unafraid to be completely honest when an individual or team were not performing to her exacting standards. Similarly, she dealt with senior officers tactfully yet firmly when required. Cheerful and bubbly she was also great fun to work with - I wish her every success. Amanda is not just a virtual assistant, she turns your dreams into bite size achievable actions... And then she does them for you! She has amazing business knowledge and will always do the best thing for your personal situation. I love having her to ask for advice and to out source such a variety of tasks to. Nothing is too much trouble and she consistently goes above and beyond what you expect her to do. I don't involve people in my business lightly but I trust her implicitly. There is nothing she won't do well and you will notice results in your business very quickly. Amanda has helped to take the pressure off in my busy business. She helps me to manage my social media interactions giving me time and headspace to concentrate on other areas that my business requires. She is efficient, reliable and keeps in contact regularly. I highly recommend her services if you are drowning under your communication. "Amanda is the right woman for the job when you're looking for someone to take control of your accounts, your paperwork, your social media, your cold calling, your diary management, your day to day tasks that you just don't get time to do, and so many others jobs like any professional, vigilent and highly effective personal assistant would do without the overhead of employing one! Amanda has been a great asset to my business and I would highly recommend her to every self employed small business owner that needs top class assistance at an affordable price." Having engaged with Amanda, I was very impressed by her ability to simplify complex situations and deliver a range of executive secretarial, business administration and social media services. Amanda is at all-time professional, enthusiastic and offers the highest levels of integrity. I would not hesitate to recommend Amanda. Your service is fantastic, reliable, very professional and efficient! "Amanda is organisation personified. She is efficient, diligent, persistent and hard working. No job is too small or too complex, and she takes on the routine and boring with gusto and a smile on her face. She whisks away your tasks with minimal briefing and delivers on time and in perfect order. Am just about to call her to give her more work!" Amanda started working for me as a PA about 6 months ago. I can easily say she has restored my sanity and kept me on track. I don't know what I'd do without her. Testimonial for Amelia part of the Your Executive Secretary Team: "Amelia has done amazing work with me keeping my highly demanding needs and those of my clients under control. She handles her work with grace and elegance and has been an exemplary member of our team. Great work Amelia, thanks!" I cannot recommend Amanda and her team highly enough. Not only was she professional, efficient and a dream to work with, she went over and above in offering suggestions and monitoring issues that would have slowed us up as a company in the critical launch phase of my Property Training Programs. I will continue to use Amanda and her wonderful services. A consummate professional and a pleasure to work with. Right from the word go Amanda took the initiative to understand my business and my requirements - more than that... she took time to understand me and my values. I rely heavily on Amanda to keep track of my events and diary. She manages a never ending task list for me and helps bring things in on time. I'd continue heaping praise on her for her support skills, but can't afford to lose her - to you. Maybe the next best thing would be your own VA from her VA training program."